Well we are the end of August – so far no storms and remaining optomistic about the rest of the season. Sierra had a very nice relaxed summer – playing our regular gigs and learning some new songs. We just have started adding recording capability to our studio and expect to have some recorded material available within a few months. Don’t forget to think about Xmas parties – it is not too early. We are already booked through November and we are holding off on the December bookings until we see what the demand will be for December. Just drop me an email sierraband@sierraband.com or give me a call (Snets 561/339-3115). All of our dates are up on the website www.sierraband.com – just click on the little arrows for the next months. We will be at Pietro’s on the Ocean this Friday – this is a new place, formerly Rottie’s and this will be our 3rd time there. This is a truly beautiful restaurant right on the sand – we play outside to the outside bar patrons. Pat Channing plays there on weekends here and there with this single act also – go to www. Patchanning.com for his bookings. We will be back at Paddy Mac’s in PBGardens where we hold court practically every Saturday. 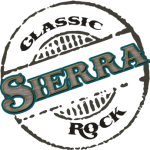 We are currently looking for a mid-week gig – if anyone knows of somewhere that would like to featur the Sierra Band (in our 21st year) please let me know. Until then all you Sierraterrians – keep the faith and rock on!